—$5 day passes at Miami Rec Sports… and much more! 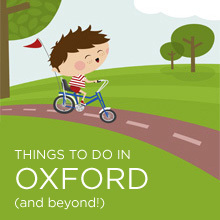 For a complete list of the discounts available, go to oxfordshoplocal.com. Although fundraising is a critical piece of McGuffey’s budget, it is also part of our school philosophy to act responsibly as a part of our community, and to pay it forward. For this reason, McGuffey shares a portion of the proceeds with some of our favorite non-profit organizations—the Oxford Community Choice Pantry, the Oxford Farmers Market Uptown Sprouts Program, and the Friends of the Oxford Lane Library. These are organizations our students, families, and staff consider a valuable part of this community. We also believe it is important to support our local economy, and, for that reason, have chosen a “Shop Local” theme for our card, and have sought businesses from Oxford and the neighboring communities to participate in this program. McGuffey students, parents, and staff donate their time and talents to facilitate the production, sale, and distribution of the Shop Local card, so there will be no cost to participating businesses or our non-profit beneficiaries. Thank you for supporting McGuffey, the other non-profits, and our locally owned businesses ! This entry was posted in announcements, community, fundraising. Bookmark the permalink.